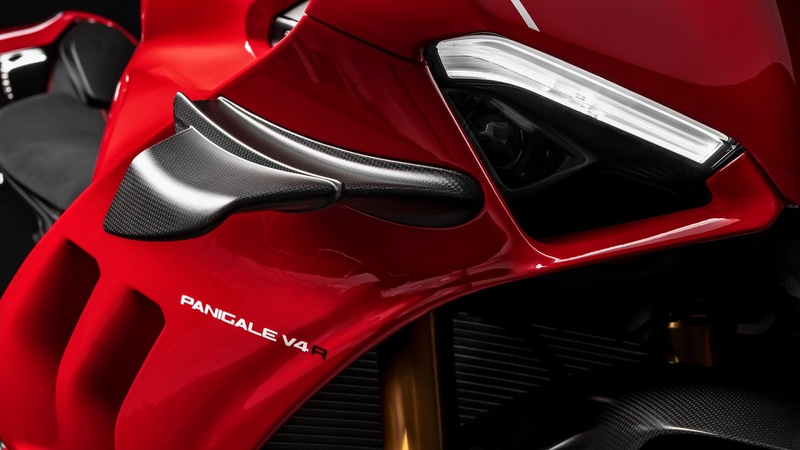 Like any other motorcycle from Ducati, the Panigale V4 R is a gorgeous looking machine which now gets two beautiful carbon-fiber wing-lets at the front to produce more down-force. 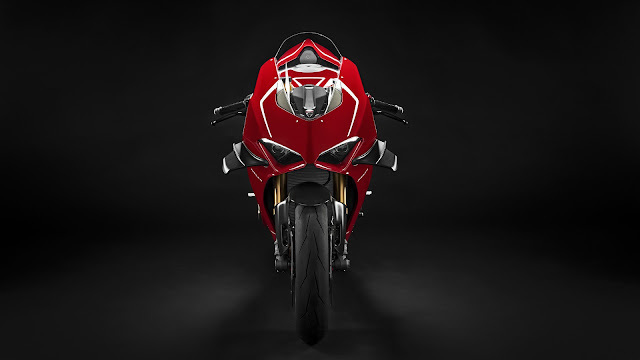 The air vents on the fairings not only helps in cooling the engine but also makes the motorcycle look aggressive like a shark. The motorcycle has a 998cc heart that pumps out 221hp @ 15,250rpm and 112Nm torque @ 11,500rpm. 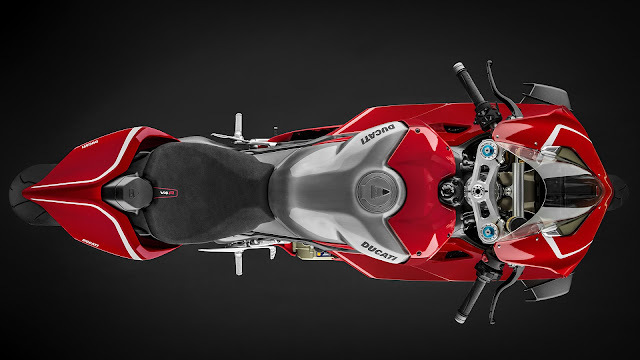 The motorcycle weighs 172kg dry, has a 1,471mm long wheelbase and the seat height is 830mm. 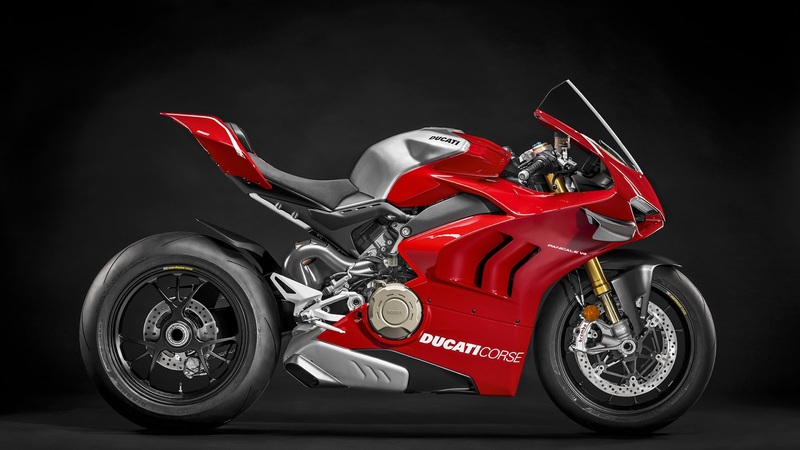 But with the Ducati's Racing Kit installed, the motorcycle can shed 6.5 kg of weight to weigh only 165.5 kg and can then produce a staggering 234hp @ 15,500rpm of power. The motorcycle can go all the way up to 16,500rpm in sixth gear. The V4 growl of the engine gives the motorcycle a beast like character. The exhaust note on the V4 R is extremely aggressive. ( Click the link to watch the Ducati's official test riders set the track on fire with the Panigale V4 R: Ducati Panigale V4 R - The Sound of Excellence ). The swinging arm on the motorcycle has a four-way adjustable pin. There are fully mechanical Ohlins steering damper and suspension and also the new pressurized front forks. The Front Frame of the V4 R has been developed in collaboration with the Ducati Corse's engineers to optimize it for racing use. The Ducati Panigale V4 R is truly a road going motorcycle designed to set the tracks on fire. 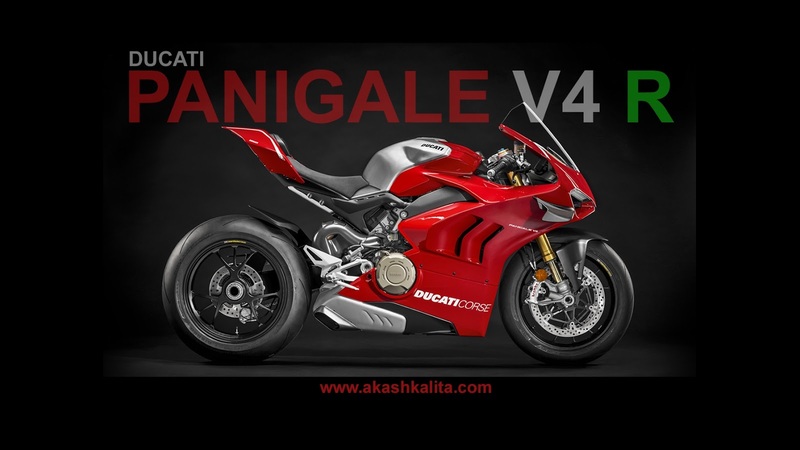 Without any doubt with Power to Weight ratio of 1.41 (with Race Kit), the Panigale V4 R is one of the most powerful and desirable motorcycles in the world.